Sweet Stitches is expanding its Sewing Machine offerings to include the Artistic Quilter SD-16 Free Motion Quilting Machine. This fabulous Machine has 16 inches of throat space and a stitch regulator. 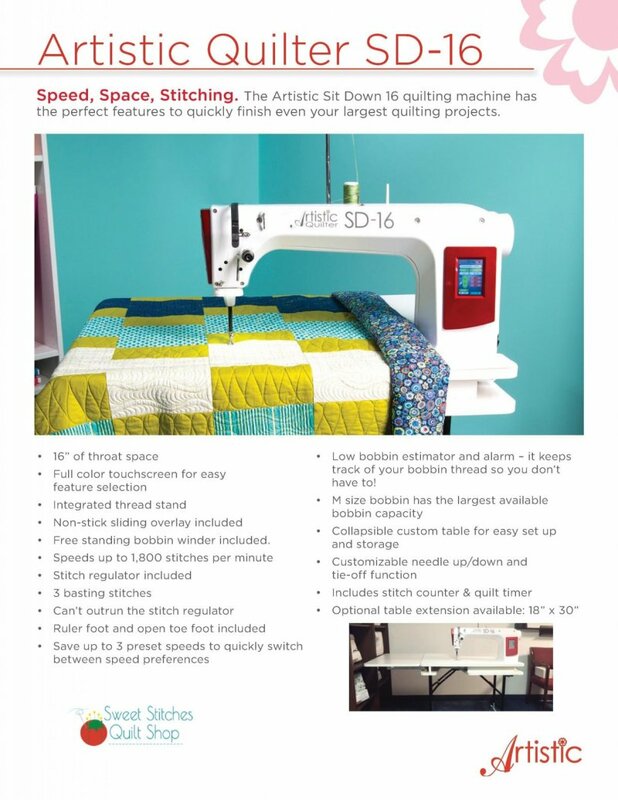 The SD-16 is a great alternative to more pricey long arm quilting machines and will take up less space in your sewing room! Stop in to see our latest machine in person.